‹ Do You Have Periodontal Disease? 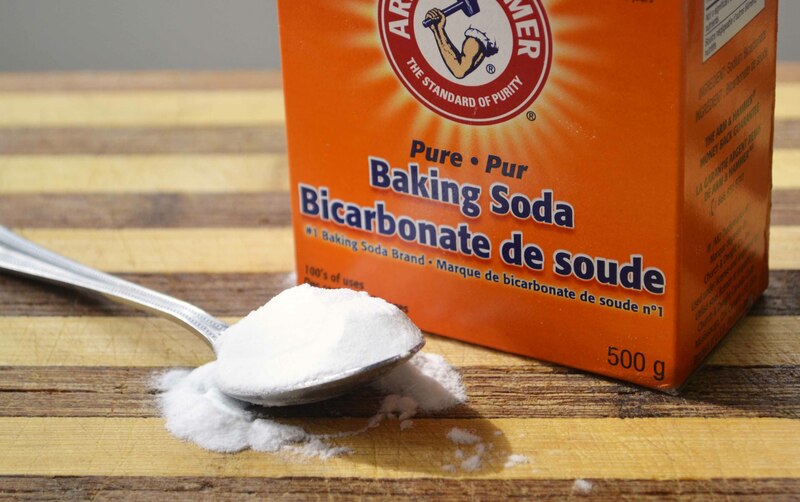 i used baking soda about 15 years ago because i thought it would whiten my teeth – big mistake. My gums receded and i may have scrubbed off the enamel in certain spots too because in the years that followed i got small cavities all along the gum line of most of my lower teeth on he outside, where i scrubbed the most. dentists i saw since then always told me that i was brushing my teeth too hard because all the gums had receded but it was the baking soda a had used for a few months many years ago. also, i dont see many recommendations on here about diet but getting enough minerals that your body can use, i.e. from vegetables, and not the indigestible and unassimilable rock forms that many multi-vitamin pills use because they are the cheapest. also good would be green powders like kelp powder, barley grass powder, wheat grass powder. if your saliva and blood dont have enough minerals in them to repair the teeth you will have problems as well and no amount of proper brushing or flossing will help in that case. also consider taking betaine hcl with every cooked meal as there may be evidence that it reduces plaque formation from what im hearing. seems to work for me and helps with morning breath too. Thank you for your message – your story describes why I am so worried about the recent excitement about baking soda for oral care. I absolutely agree on the importance of diet and nutrition and in my next book I will be sharing more about the amazing connections between nutrition, digestive health, and oral health. You are also correct that supplements vary in quality and I personally recommend only those derived from whole foods. I have no experience with hcl – but I have heard a lot about it and its use for digestive health. Thank you again for your feedback – it was very interesting to know that you had this same negative experience with baking soda. What’s your take on the new Listerine Naturals Antiseptic and Anticavity mouthwashes? Yes, thanks for your question. I am tempted to try this product, because if it truly contains the same ingredients – then minus color is wonderful! You have to know that I swore my experimenting days were over. I decided this after testing bleaching strips and an awful toothbrush that stripped my teeth, but this could be a really great product – so I will certainly give this a try! I almost purchased a bottle of Listerine Natural yesterday – and because of your interest I will go today and get one! I’ll let you know what I think in about a month.I appreciate your interest in my opinion – thanks again! I found it at drugstore . com. They have several other brands, but this looks like it has better ingredients than most. And, MUCH better(healthier) ingredients than ACT! I guess I could buy some and test it and see if there is a difference in my teeth. I would test it with a PH strip first of course. Let me know if you will approve something that’s artificial color free for the last step in your system. thanks! I was experiencing extreme tooth sensitivity when I started your superb Complete Mouth Care System. Prior to your system, I was using a full tube of sensitivity protection toothpaste per week. I also regularly applied a sensitivity reduction solution directly to my teeth. Nothing was working very well, so I decided to give your program a shot. The results were astonishing! Within three days, my tooth sensitivity completely disappeared. It’s now been over two years and my mouth feels wonderful! Thank you so much for freely offering an easy, effective, and affordable solution for my dental health. I think of you often and wish you the very best! I really appreciate your happy letter and thank you for taking the time to send it. I want so much to help patients enjoy the health benefits and sensory joy from a healthy mouth! I am also personally thankful to know about this system, because at my age I know – without it’s help – I would have cracked teeth, probably root canals, crowns, likely gum recession and other dental problems that are often blamed on the simple consequence of aging. I wish hygienists would recommend this system to people who cannot afford periodontal treatments, or to get fillings fixed. The system is easy but getting the information to a hurting public is our challenge. I’m so glad the message reached you. I’m curious to know if you have personally tried the Garden of Life Probiotic Smile lozenges you mentioned or know anyone who has? Also, do you think a product like this is safe for someone with silver fillings? I’m very intrigued and may give the product a try. I have tried these, but honestly I don’t know if they added much to the way my teeth or gums feel ( since I have zero problems, no plaque, and I am happy with the color of my teeth from 30 years on my suggested system!). I always recommend patients start with a digestive probiotic. It may sound strange, but it makes more sense to get digestive health in tip top condition, along with good diet before using an oral probiotic. This is because many foods, when thoroughly absorbed, provide nutrients that are concentrated in salivary glands, and end up in saliva, to change the mouth conditions to naturally promote good oral bacteria (maybe the very same bacteria that are contained in oral probiotics). That’s why, unless you are after a quick “fix” for some reason, I’d only recommend oral probiotics as the “icing on the cake” and not a starting point. It is true that baking soda can be detrimental and that home remedies might post risk for oral health without you knowing? Yes -some home made toothpastes can erode, scratch or damage teeth and especially the protein layer that protects tooth enamel. Making toothpaste is not an easy task. If you have great teeth and need very little help from toothpaste, maybe a little xylitol on your toothbrush is all you need. Activated charcoal also seems harmless but makes your mouth turn black temporarily! If you have damaged teeth – my recommendation is to avoid any toothpaste that contains glycerin. There are a number of satisfactory pastes but I recommend paste with sodium fluoride – to help teeth repair. Do you have any experience or opinion on Tooth and Gums Tonic or Tooth and Gums Toothpaste with essential oils? What is your opinion of coconut oil for brushing or swishing? Great information, here, Dr. Ellie. I just found you blog and I love it. Does baking soda can’t help to whiten the teeth? and if we use this we can face other oral problems?Thank you for sharing this one! It gives me knowledge and learned to not just follow others suggestion. For a consumer to find “the best products” for oral health is extremely difficult – possibly impossible – these days. In the 1960s there were only around 10 products to choose from – and I am lucky to have begun my observations back in those days! Now – especially in the US – there are so many choices – and so much marketing to sell products. I believe a great many products are harmful – but strong marketing makes it difficult for my lone voice to be heard. The worst thing for amalgams is to use peroxide in the mouth – in any form. Peroxide as a bleaching agent or in a mouth rinse is a real problem because the peroxide CAUSES mercury to be released from fillings rapidly – so the fillings deteriorate and you are exposed to more of the toxin. My suggestion is to carefully consider what you are going to use to replace an old amalgam fillings – and only do this one tooth at a time – and finally be sure before you begin that you are in peak physical health. Greetings, I have dry mouth from radiation almost 20 years ago. Dental health has been an issue. I am going to try your system in the hope it will strengthen my teeth and coax my receding gums to reverse direction and maybe even grow back a little. My dentist suggested that I rinse with a baking soda solution to lower the ph in my mouth, one teaspoon to a cup of water. It certainly is cheap! But not if it is damaging. What are your thoughts? Thank you so much. I am delighted that you plan to use Zellie’s and the Complete Mouth Care System. Be aware that xylitol is a key component of the system – and that every step must be followed exactly – or this will not work!